Originally proposed as a technological solution that would forestall official censorship, content filtering has been shown to pose its own signicant threats to free expression on the Internet. Often characterized by their proponents as mere features or tools, filtering and rating systems can also be viewed as fundamental architectural changes that may, in fact, facilitate the suppression of speech far more effectively than national laws alone ever could. 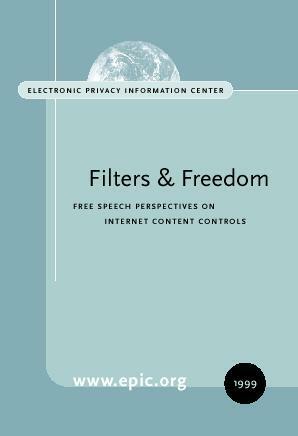 Several critiques and studies have been produced since filtering and rating systems were first proposed as voluntary alternatives to government regulation of Internet content. Partly as a result of the writings contained in this collection, the headlong rush toward the development and acceptance of filtering and rating systems has slowed. These critical views must be considered carefully if we are to preserve freedom of expression in the online world.